How often should you establish your OKR? Step 2: Identify your objectives. Step 3: Identify your key results. Step 4: Review and analyse. With today’s complex nature of organisations, team members often find themselves feeling lost amidst the rapid changes that they deal with every day. Often, the strategic plans and goals of the company are too high-level and abstract that employees don’t just feel lost, but also feel discouraged and find lack of purpose. OKRs have changed the way many companies achieve their GSDs. Companies like Twitter, Zynga, Oracle, LinkedIn, Trello, Hobsons, Sears Holding Corp. and other huge brands are known to have adopted the Objectives and Key Results (OKR) to achieve their goals. But it wasn’t a new concept. In fact, one of the pioneering companies that used OKRs is no other than Google. When the company was just less than a year old, one of its investors, John Doerr, proposed using OKRs. The idea was adopted from Intel and proven to be highly effective regardless of the type of an organisation. In one of his presentations about how OKRs work, Google Ventures partner Rick Klau gave a very fascinating insight about how Google operates. OKR is pretty simple. It starts with setting up an objective and followed by identifying a number of “Key Results”. Note: The Key Results should be quantifiable. It’s the only way to know whether you have achieved your objectives. At the same time, your objectives should be measurable and concrete. Saying you want to significantly increase your sales is not definitive and measurable, rather abstract. You say you want to increase your annual sales by 30%. At Google, objectives are set annually and quarterly. When Klau took charge of Blogger – a blog publishing service owned and operated by Google – the objective tackled during one quarter is to improve the company’s reputation. Annual OKRs are more high-level, usually encompassing the quarterly objectives of Google. But these OKRs are not set in stone. They change and evolve as the need arises. According to Klau, Google also adopts OKRs at managerial and team-levels, even personal levels. This is critical to how they grade their employees and ensure that every single person in the company gets things done and work together to keep the company on track. By the end of each quarter, everyone working in Google grade their key results. They adopt a 0-1 scale. The goal is not to reach 1 in every Key Result. Otherwise, it will be assumed that the member has created a Key Result that’s too easy. As Klau puts it, the member is ‘sandbagging it’. Employees are aiming for a score of 0.6-0.7. Another interesting practice within Google is that their OKRs are open to everyone. Not only do they see each other’s OKRs, but also their scores. It might seem a little intimidating, but it helps employees in Google understand what each other is working on. By now, you’ve started to have a pretty good grasp of OKRs and how it can benefit your organisation, just as it benefited Google. But the real challenge is setting up your own OKRs and brainstorming on the Key Results to achieve your company objectives. Objectives – depending on your role, you start by identifying 3-5 key objectives of your company, team, or even on a personal level. While objectives should be ambitious, they should also be SMART: Specific, Measurable, Actionable, Realistic and Time-Bound. If you’re a manager, you should make sure that such objectives are carefully relayed to everyone on your team. Key Results – if the “objectives” answer the question “What?”, the “key results” answer the question “How?”. Thus, they have to be quantifiable, achievable, clear, difficult, but not impossible. Most importantly, Key Results, which should be composed of 3-5 points, should be measurable. This is the only way to track your or your team’s progress, understand the hurdles, and develop/improve processes along the way. While not a major element of OKRs, tactic is also a term that is worth mentioning when we talk about OKRs. Tactics fall under Key Results and basically, inform the “how” part. Note that tactics are different from the tasks. They are strategies used to perform those tasks. Think of tasks as those you deal with on Trello, Asana or any other project management tool that your company uses. These tasks fall under “tactics” are necessary for such tactics to work. In most cases, you may need a combination of different tactics to achieve the Key Results that will support your objectives. The frequency of your goal-setting process is called cadence. Just like Google, you may have annual and quarterly goals within your organisation. OKRs in each department should have the same time constraint to aid with coordination and avoid complexities. Remember, OKR is meant to be a simple process. Should specifically answer what you want to achieve within a determined time-frame (e.g. after a year or quarter). Serves as the Strategic Theme or the “Burning Imperative” as other companies call it, that overarch what you want to accomplish. Each objective must have 1-5 key results that measure it. Refers to the “results” that you seek. It should help you measure your progress in achieving your objectives. Talks about HOW you will achieve your objectives. Must be measurable. Thus, it should include a Key Performance Indicator (KPI) that is quantified through a metric. In most organisations, Key Results (KRs) are typically seen among team-member levels or the junior-most hierarchy of employees. These people don’t make the goals for themselves (unless personal such as development goals) but are assigned with goals by their managers or direct leaders. They generally own the Key Results. Everyone above the team members, although they won’t have KRs, will have contributing goals. These are higher level goals that bear the same attributes as that of KRs which are aligned with the senior goals. For example, almost in every organisation, the CEO owns the top goals of the organisation. The team leaders or head of each department (say, finance team and recruitment team) also set their junior goals with respect to the overall company goals set by the CEO. 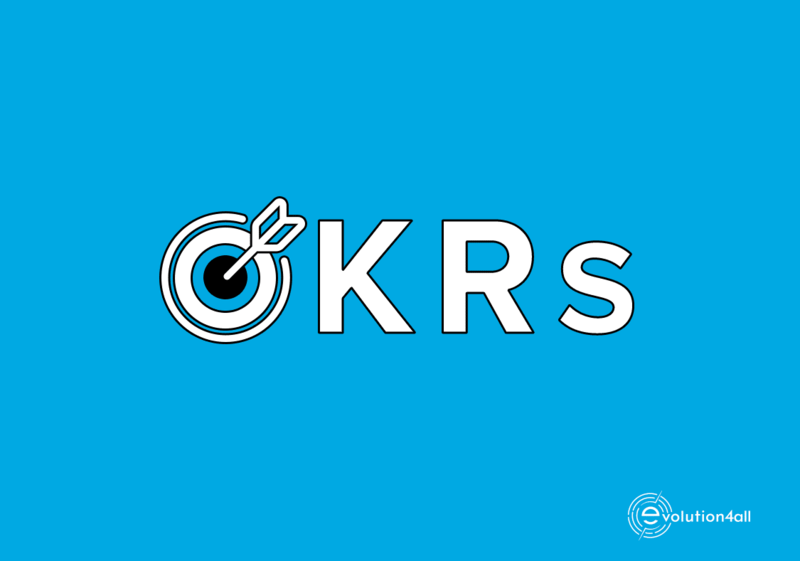 Reintroduce the concept of OKRs in your team and explain how the KRs are scored and how it affects their performance. Inform them that OKRs are meant to feel ‘uncomfortable’ and it’s perfectly okay to set an ambitious goal and miss it (so long as they are making progress of course). In short, encourage them to move out of their comfort zone. Encourage your team members to participate in the brainstorming process. Note, however, that your team goals should be aligned to the senior goals (company objectives). Try to come up with 3 to 5 aspirational objectives. For example, if your company objective is to improve the business’ reputation and lead the Customer Service Department, your objectives may include increasing CSAT score to 95%, implementing First-Call Resolution, or Shorter Queueing Time. Launch seasonal campaigns (summer promos, Valentine’s Day, Holiday fares, ) and double the revenue from the past year. Take cash discounts on suppliers to save 10% on purchases. Outsource fleet distribution to stores to reduce cost by 20%. It is possible that one of your KRs requires collaboration with another team. Follow up with them from time to time and make sure that they’re on board. You may find yourself revising your objectives or key results as you review your initial list. If you’re 100% confident that you can hit your KRs, that means you’re not being ambitious enough and you’re still on the ‘safe zone’. Try to increase your target up to the level that you find uncomfortable. Furthermore, see to it that your KRs are articulated in such way that they can be scored on a sliding scale. As with anything, getting feedback is very important, especially for the people who will be involved in the execution. They may have great suggestions to improve your OKRs. A critical aspect of measuring Key Results is scoring. You may adopt Google’s sliding scale of between 0 and 1. This quantitative metric tells whether you missed, came close to, or hit your target. Note that the score of .7 on a key result is considered a success more than 1. Companies across various industries continue to adopt the system of OKRs because of its distinctive qualities that clearly transform their organisations. Through OKRs, the top company objectives are cascaded to individual, junior-level members more clearly and accurately. This gives everyone a sense of purpose and direction. OKRs allow the organisation to focus on everyone’s effort and what’s more important to the success of the business. It allows everyone to align their goals with the company goals. It easily measures and tracks performance, which motivates employees to do better and contribute to the success of the organisation. Frequent assessments and progress check-ins drive better execution. OKRs are focused on results and outcomes, not merely on tasks. Greatly helps managers measure performance and progress of their team members, and thus allows for a more targeted feedback and coaching approach. OKRs allow individual teams to execute effectively. It brings transparency to the company as everyone can see what others are working on. No doubt, OKRs foster collaboration between members and across teams. Many studies have shown that committing to a goal helps drive performance among employees. More importantly, setting challenging goals motivate them to perform well to achieve those goals. OKR is a system of goal-setting practices that are meant to help organisations set ambitious goals and achieve them through measurable actions. OKRs are best done annually and quarterly. It is essential to focus on objectives that can be achieved within the given timeframe. Whether you’re a CEO, an executive, Ops manager, or a direct manager, using the system of OKRs is a proven way to increase your team’s alignment to the company goals, measure performance, provide adequate feedback to your team, and bring out results. More importantly, setting OKRs gives every leader like you a clear guideline on what to focus on during a given timeframe. By adopting this popular Google strategy, you too can tremendously foster growth and success within your organisation. “Many studies have shown that committing to a goal helps drive performance among employees. More importantly, setting challenging goals motivate them to perform well to achieve those goals.” I would agree on this one. What do you think of this https://www.proggio.com/blog/agile-project-management-strategies-everyone-can-use/?